Awareness, pressure, fear, concentration, and diminishing the risk. These five behavioural traps are the root cause of all accidents attributable to human error. It is essential that the technical aspects of using any equipment are adhered to. This is especially true for breathing apparatus where the proper use of that equipment means the difference between life and death. There’s no question that ensuring correct use of breathing apparatus can be more complicated than for other forms of PPE. 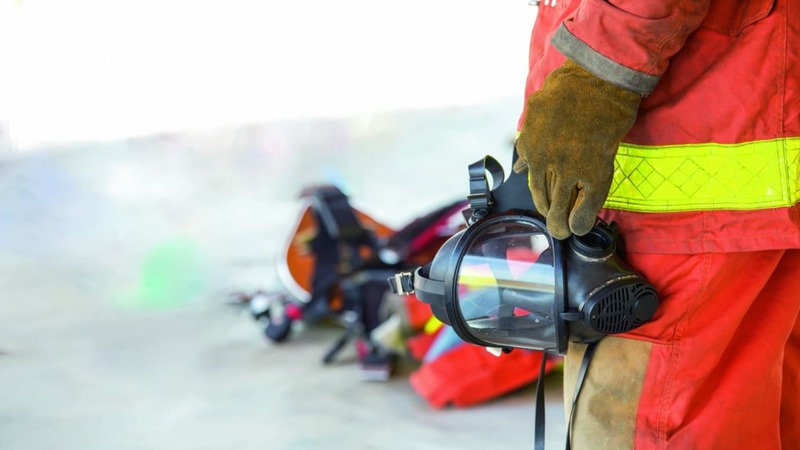 Even when technically being used absolutely correctly, however, this still may not be enough to completely safeguard your workers from workplace respiratory hazards. It may seem obvious to state that it is human beings who use breathing apparatus, but to overlook this would be to negate an entire area of potential hazards. With us humans, you see, comes human errors. It is we as humans that get distracted: tired, stressed, pushed beyond our capacity. This leads to poor decisions and in turn, unsafe acts. For example, what percentage of the workforce do you think actually understands the details of why they have to wear respiratory protection? If they do comply with its use, is this behaviour most easily attributed to workers having a thorough, in-depth comprehension of occupational hazards; or the fact they simply know they’re meant to wear it and will get in trouble if they don’t? Some of you at this point may be thinking that if the equipment is being used then it doesn’t matter whether or not the workers fully grasp the reasons why, and to a certain extent this is true. That is until, of course, said worker enters a confined space without breathing apparatus, perhaps because they did not know the characteristics that define a confined space, only to be rapidly overcome by a build-up of toxic gases. Just to set the contextual scene, the terrible accident outlined in the case study that follows details a confined space tragedy, which could easily have been prevented should adequate breathing apparatus been in place, with workers trained in its use and importance. Three workers were required to remove Oil Based Mud (OBM) and Water Based Mud (WBM) residues from four tanks on board a ship in port. The three workers were employees of Contractor B which had been subcontracted by Contractor A. The vessel’s and both contractors’ supervision realised the high risk nature of tank entry and took all the numerous precautions required for safe tank entry work. Initial atmosphere test sampling on all four tanks was conducted by the Contractor B Supervisor using his multi-test meter. The vessel Chief Officer expressed concern about the short sampling probe being used for the test and offered the use of the vessel’s testing equipment. This was declined. During cleaning of the fourth tank the Watchman saw a worker in the tank collapse; he raised the alarm and entered the tank to rescue his colleague. The third colleague saw both workers had collapsed and he also entered the tank. When the vessel and contractor supervisor mobilised to commence rescue, three workers had collapsed. The contractor’s breathing apparatus was defective and had to be replaced by the vessel’s, which took 10 minutes. Resuscitation on site failed and despite being taken to hospital, all three men died from Carbon Monoxide poisoning. Unfortunately, many safety professionals have seen all this before. Why do accidents like this still happen in 2017? The answer: the “Five behavioural Traps.” Let me explain. After examining over 400 incidents, one or more of the five behaviours is/are a cause(s). Let’s see how the “Five Traps” apply to this terrible fatality. Awareness is not just seeing, hearing and smelling, it is figuring out what is going on and if what we see, hear or smell means danger. Lack of awareness may also be due to lack of training. It seems as if the two workers were not trained in tank entry. All training courses tell you not to enter the tank without BA. We are all under pressure in some way all the time. What we have to be careful of is unreasonable pressure – pressure that makes us hurry or do things we should not do. The accident report above does not tell us if the workers and supervisors were under any pressure. However, four tanks to be cleaned might indicate pressure. Also, ships often have deadlines to leave ports because of tides, weather or customer demands. That can result in unreasonable pressure for the Captain and this will be passed all the way down to the contractors. Fear can be positive and negative. When we cross the road we are afraid of being killed by a bus, so we double check the road is clear before crossing: positive fear is good for safety. “Negative” fears such as being afraid of being mocked, looking stupid or of upsetting others are bad for safety. The accident has at least four possible fear scenarios. First, the vessel Chief Officer was too afraid to insist that supervisor B use the ship’s more effective sampling hose. We do not want to offend people and upset them because we fear they may retaliate in some way. If things are clearly not safe, however, we have to overcome that fear (find the courage) to stop the job and insist on the safe way. Second, why did supervisor B refuse the use of the client’s sampling hose? Perhaps he was afraid to admit that their equipment was ineffective or that he was incompetent. Third, why did two workmates put themselves in danger by entering the tank? Perhaps they were afraid they would be regarded as terrible people – bad workmates – if they did not attempt to rescue their workmates. Fourth, was the Captain afraid that he/she would not meet the sailing deadline and be chastised by his management? Loss of concentration can happen for a variety of reasons such as worries about financial trouble, sick parents, children in trouble and relationship problems. Fatigue can also cause loss of concentration. However, many accidents investigations still do not probe enough to find out if concentration was a cause. I have seen cases where the workers have had to travel for seven hours and then do a night shift. With seafarers particularly, they can be flying for 20 hours before reaching their ship. Was a check done on the fatigue state of the workers involved? Wrongly, diminishing the risk is a sneaky trick our minds play on us. We want to do jobs, we want to get home on time, we want to please others, and so we try to justify going ahead with a job when we actually know we should not. We say to ourselves phrases like “it will only take five minutes” or “it is only a small one” or “we have done this 50 times before” or “it’s just around the corner”. As we all know you can be injured in one minute or in five metres. In this incident the workers had already cleaned three tanks. When we do things in a sequence and the operation is more or less the same, we assume that the next one will be the same as the previous ones. Many accidents show this assumption - this wrongly diminishing the risk often lead to accidents. We should check each operation as a new one and do all the checks as if it were the only one, even if that takes five minutes to risk assess. Take three past incidents and re-interrogate the accident reports. Keep asking “Why?” and eventually you will find one or more of the “Five Behavioural Traps”. It is such a pity that people are still being hurt and even killed because we are not doing enough to alert them and their supervisors to that part of our human nature that has the potential to hurt us.